HCM City is experiencing scorching heat, with temperatures forecasted to increase to 40 degrees Celsius outside. According to the National Centre for Hydro-meteorological Forecasting, the southern metropolis has seen temperature ranging between 37-38 degrees Celsius in recent days. The temperature outside at midday is forecasted to reach up to roughly 40 degrees centigrade. Deputy director of the centre Hoang Phuc Lam said HCM City had seen high temperatures since February. He added that the southeastern region, including HCM City, would face more hot spells between April and May this year. 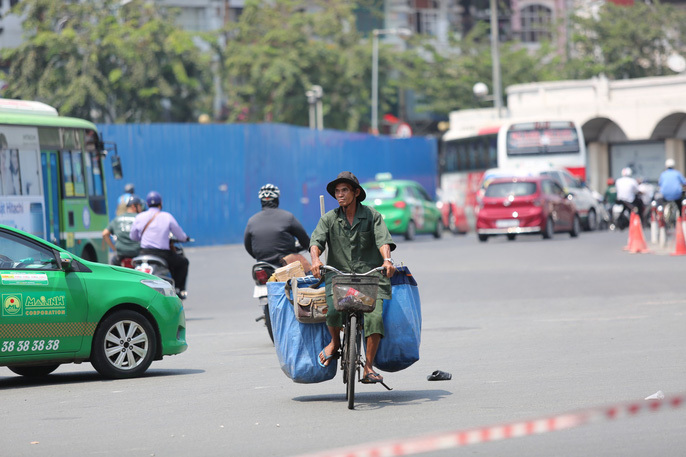 The hot weather in HCM City has sickened many local people, particularly children and elderly people. Pham Van Hoang, head of Medical Examination Ward of the Children’s Hospital 1, said that the hospital had seen a surge in patient numbers despite not being peak season for hot weather. Around 5,500 children are being hospitalised daily, mostly with digestive and respiratory problems.